Stick On Clothing Labels Make Life Easier! Stick to garment care tags and directly to brand stamps for best performance. Peel & Stick. Laundry- Safe. Waterproof. Durable. 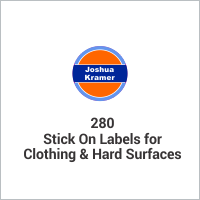 Stick on clothes labels are laminated, so no fading or cracking. Can also be used on hard surfaces. 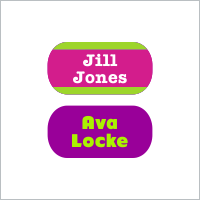 Need a permanent label? Use our iron on labels. 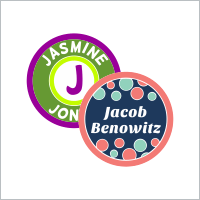 Our laminated, stick on clothes labels are the perfect way to identify your whole family's clothing items and prevent them from being lost. 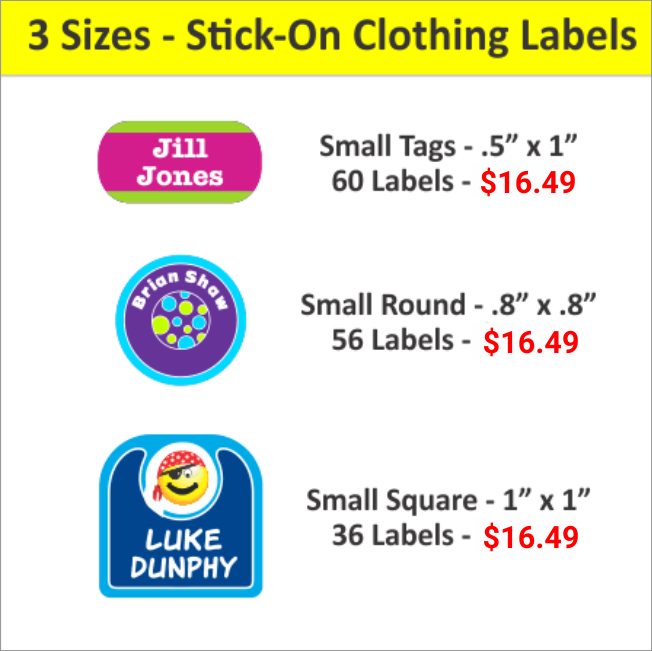 At IdentaMe Labels, you can choose from 3 different sizes and shapes of our sticky clothing labels, as well as from several different label packs, that include clothing labels. When it comes to kid clothing labels, these are the best. Our stick on name tags have an industrial strength adhesive so they'll stay stuck wash after wash. 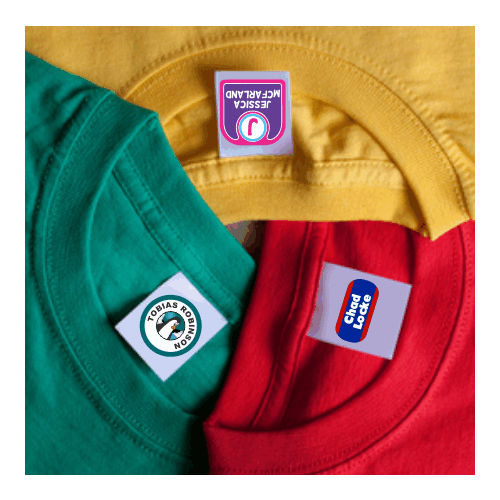 When stuck to the gament care tag - our kid clothing labels are basically a permanent solution. When stuck directly to the brand stamp or fabric, our sticky clothing labels are long lasting - but not permanent. If you need a permanent kid clothes label - our iron on fabric labels are what you're looking for. 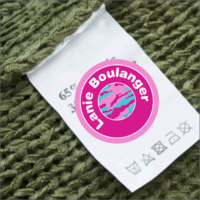 It's easy to use our labels for kids clothes! Just stick the labels to care tags, or directly to the manufacturers brand stamp. 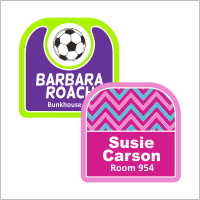 These stick on clothes labels are great for kids, loved ones entering a care facility, moms, dads, athletes and more. Our stick on clothing labels help clothing items return home time after time. 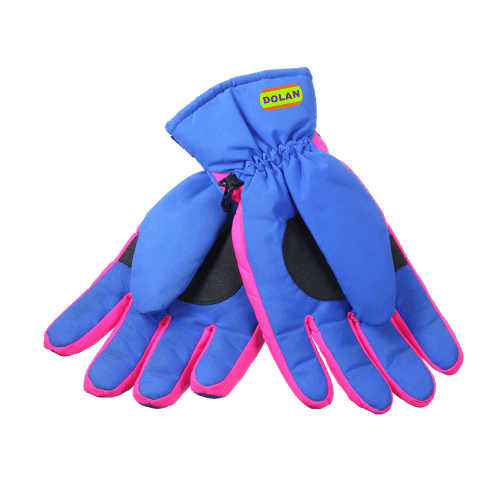 Great for camp, school, nursing homes, daycare, the gym and anywhere your family goes. 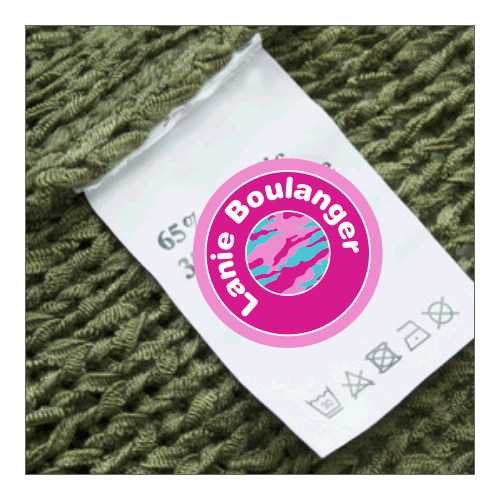 Just peel and stick our fabric labels onto your family's clothing and jackets - they're washable, waterproof, laundry and dishwasher safe, and long lasting so you don't have to worry about them falling off when applied to garment care or size tags. Want iron on clothing labels instead? 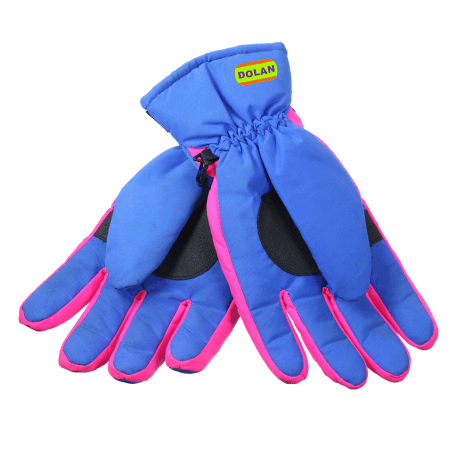 We have those too!